Driving along on Highway 99 in Elk Grove, you notice the engine revs go up. Then there's a strange clunking noise. The engine light comes on and your car jerks to a stop. I guess you shouldn't have ignored the symptoms yesterday, or last week. Precision Automotive Service can help you prevent big transmission repair bills with regular maintenance, and can get you fixed up if you do encounter transmission problems. We were voted Best Automotive Repair in Sacramento for a reason. Our ASE-Certified technicians take the time to thoroughly diagnose and repair the problems that ail your vehicle, including your transmission. Whether you drive a Cadillac or a Ford, a Toyota or a Nissan, the skilled technicians at Precision Automotive Service will find an affordable solution to get your vehicle back on the road. 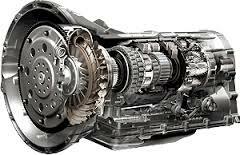 For all your transmission maintenance or repairs, bring your vehicle to the experts at Precision Automotive Service. Call us today or book an appointment online.